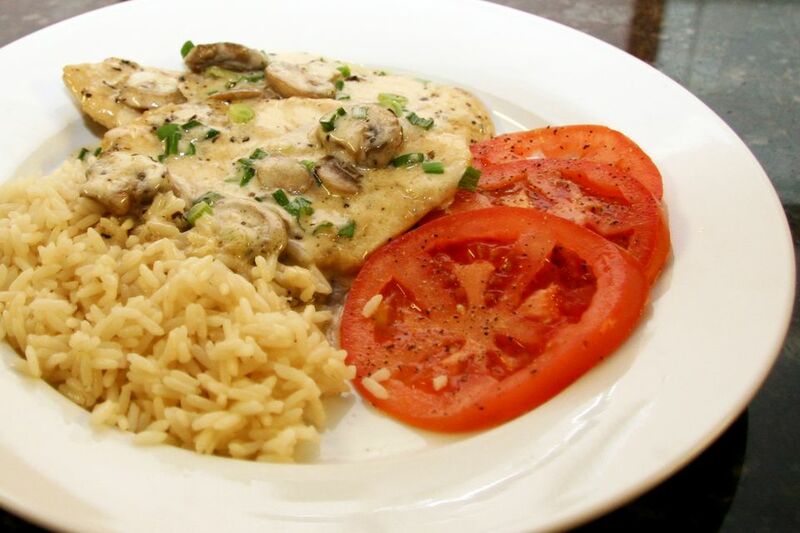 This is a creamy chicken Marsala gives simple chicken breasts a rich and delicious finish. It makes an easy and delicious meal with rice or noodles. Or serve it with spaghetti squash or zucchini noodles for a low carb offering. The sauce is versatile as well. Add 1/3 cup to 1/2 cup of Parmesan cheese to the sauce just before it's done, or add some reconstituted sundried tomatoes or halved grape tomatoes to the dish. Roasted red peppers are another good option for color. This is a rich and creamy alternative to the easy classic chicken Marsala. Or take a look at this chicken Marsala with chicken tenders. Dip chicken in the flour to lightly coat both sides. In a large skillet over medium-high heat, melt butter with oil. Add the chicken and saute for about 2 minutes. Turn and add the sliced mushrooms to the skillet. Continue cooking for about 2 minutes longer, stirring mushrooms occasionally. Add the Marsala wine, chicken broth, and lemon and bring to a simmer. Simmer, uncovered, for 5 minutes to reduce slightly. Cover and continue cooking for 5 minutes longer. Add the basil, cream, and green onions and cook for 2 minutes longer. Serve chicken Marsala with hot cooked spaghetti, linguine, or rice. If you like a sweeter sauce, use sweet Marsala wine in the dish. A garnish of shredded Parmesan cheese and chopped fresh parsley makes an attractive presentation. Add sliced grape tomatoes about 5 minutes before the dish is done.